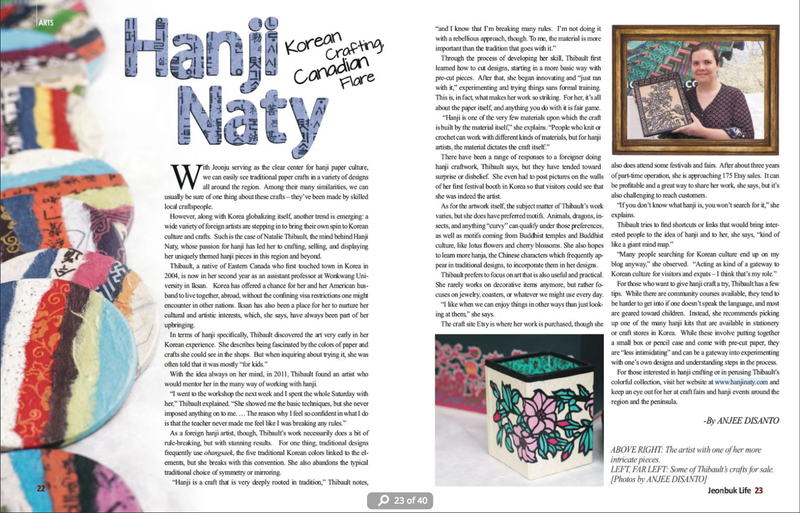 Hanji Naty (한지나티): HanjiNaty featured in "JB Life" ! 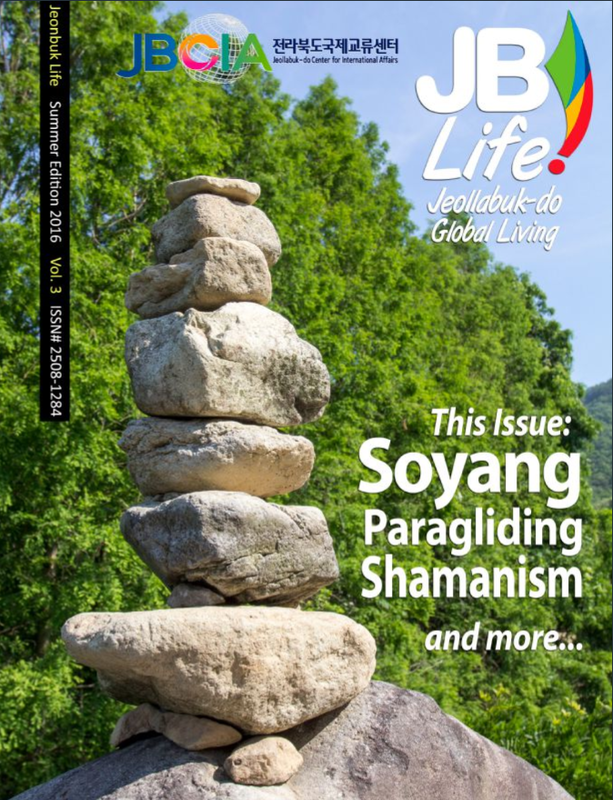 HanjiNaty is thrilled and honored to be featured in the Jeonbuk Life (JB Life), an English magazine published four times a year by the Jeollabuk-do provincial Center for international news (JBCIA). A two-page portrait of HanjiNaty, titled Hanji Naty : Korean Crafting, Canadian Flare is published in the 2016 Summer issue of the JB Life magazine : it contains segments of an interview I gave to the reporter Anjee DiSanto, along with colorful photos taken by the same talented person. The JB Life magazine focuses on our province's international community, of which I am a proud member. 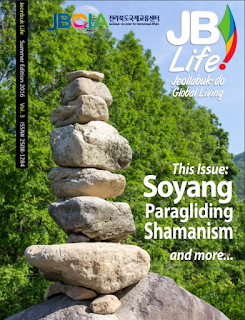 The paper magazine is available in different locations in Jeollabuk-do, and an easy-to-read digital version of the publication is available online.